The Golden Boy did it. Pocket dynamo and Bangladesh captain Mushfiqur Rahim becomes the first Bangladeshi cricketer to have scored a double century in Test Cricket. BanglaCricket&apos;s own Rabiul Alam pens a fitting tribute to Mushfiq and why this is more than a cricketing milestone. You have done yourself, your fans, and your country proud! I could not have been more happier that it came from none other than you, my captain. This is true leading from the front and I am sure this will certainly inspire the rest of your team to follow suit. However, the most important aspect of this double ton will be its lasting legacy and that it will allow you to consolidate your authority and respect within the team. When you were handed the leadership role after a period of musical chairs with captains, you were handed the rudder to lead a broken ship to a safer shore. You are a good, honest, and hardworking man much beloved by all. Part of this is due to your no nonsense attitude and a part, of course, is due to your cute boyish good looks. But in order to lead, you needed to earn the respect from and authority over your team members. Let’s face it. You are not as flamboyant like Tamim of the Khan family. You are not as enigmatically talented as Ashraful. Nor are you the supremely capable superman Shakib. Neither are you the popular yet pagla Mashrafe. In other words, you were never the best batsmen, nor the bets bowler, nor the best allrounder. You were just this stolid wicketkeeping batsman who could score 30-40 runs, keep decently, and chatter a lot. But with the passage of time, you became this pocket dynamo, who could, sometimes and now more often than not, punch way above your weight. But it does take more than this to earn your peers’ respect and keep the heavy hitters in check and under control. With this record breaking and history making innings, you have ensured just that. Under your leadership, you have now taken Bangladesh to heights never seen before. Now, don’t get me wrong. I’m not accusing any of the players of saying anything like that. I’m just illustrating how tough it is or for anyone else in his positions to tell the team heavyweights what to do. Without being the best or the most fancied, you have achieved a feat that will only inspire the best in your team to challenge themselves and follow your footsteps. Your unifying ability was already evident with the team's performance over the past year, but now it just seals your position as the true leader of this team. With this commanding double, you can now command authority and respect from you team. Under your wings, you can now lead the team to soaring new heights. 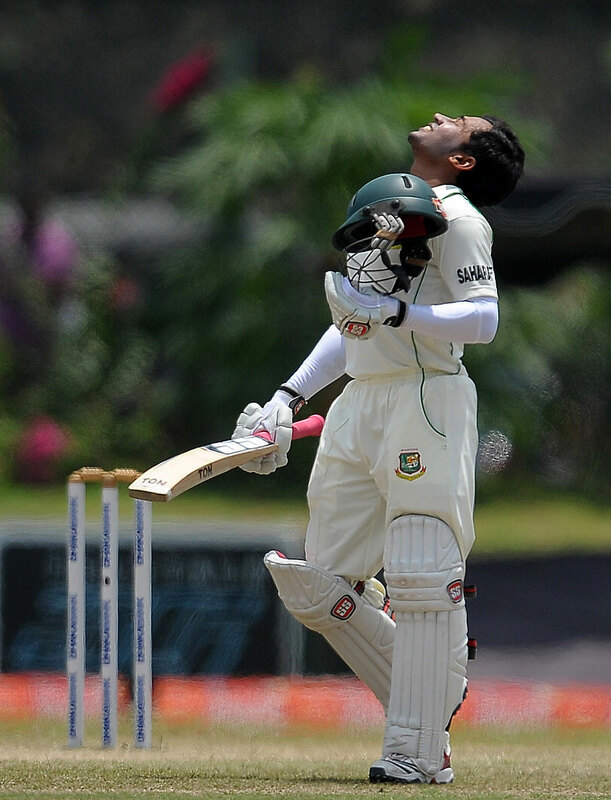 Much more than a double century, this innings will have a far-reaching and positive impact on Bangladesh cricket for years to come. About the author(s): Even when managing a Shipping and Logistics business Group in his day job, cricket is never too far away from the mind of this Bangladesh Representative of BanglaCricket. Rabiul, commonly known as Rabz in this forum, does what any ardent cricket fan would do: eat,sleep and drink cricket 24/7 and is happy to share his cricketing thoughts with the fellow like minded fanatics here in BC. This page has been viewed 4688 times.